The pillars of being happy in you business journey. 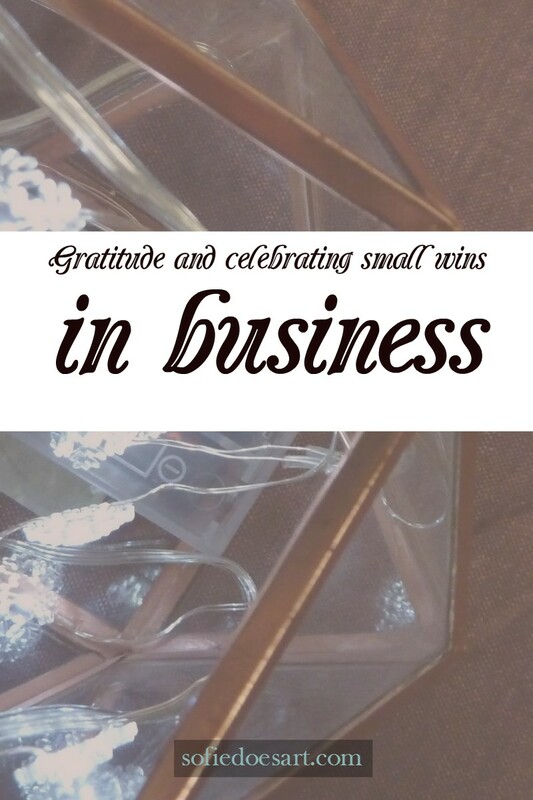 Gratitude and celebrating small wins. There are a lot of studies which support the fact that being grateful can make you feel happier. The feeling of gratitude or feeling thankful is often a joyful feeling and thus making you happy. Happiness is something that a lot of us want. When you are happy it is easier to work and brainstorm and to continue even when things get hard. That is also why it is important to be grateful for your business and work. I flopped this month, totally flopped. What is flopping? 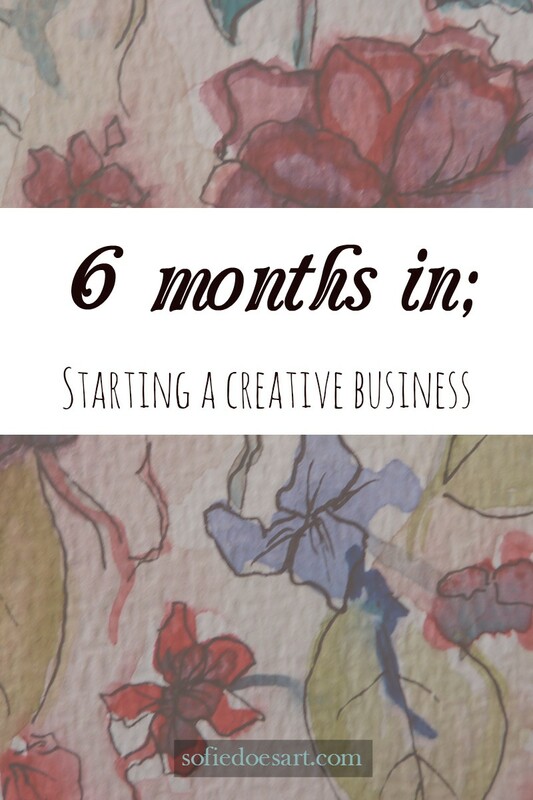 I am not sure but it sounded like a great word to describe this month in creative business. Last month was quite the month, I made my first income and I did a lot of amazing stuff and then this month nothing. I did start 10000 ebooks (or 3) and I have finally started writing my blog post in advance (more than 5 minutes in advance) But it is the networking and promotion department where I just didn’t do enough this month. Welcome to the world of blogging breaks. A magical world full of myths, fairy-tales and flat out lies. And I am here to be your guide. To be fair, I have only been blogging for 5 months but if there is anything I learned it is about blogging breaks. We all have dreams and ideas about how your perfect day would look like. I like thinking about that sometimes. Mostly about how it would be if this would all work and I could be a blogger, artist and entrepreneur for a living. Warning; the following blog post has a lot of cups of coffee and painting. Do you want nice beautiful dark lines in your drawing? Then maybe you would like to use a dip pen or a fine liner! 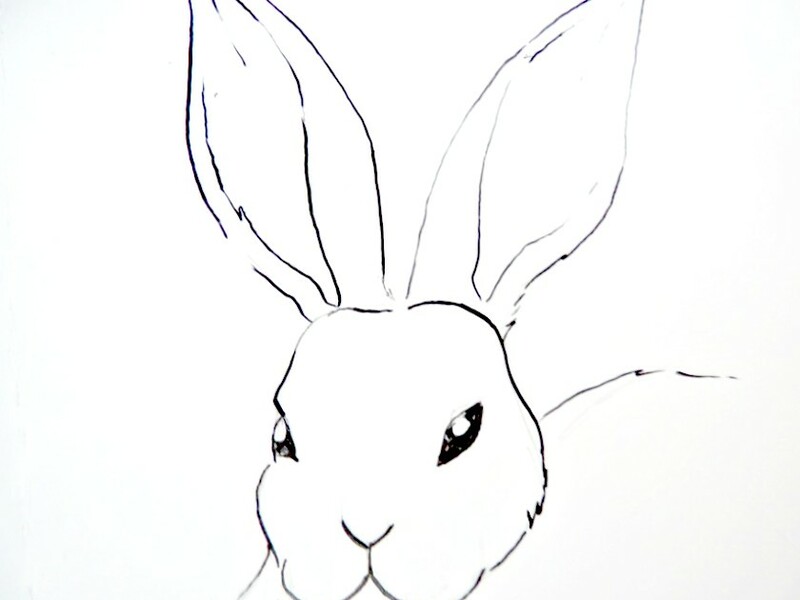 More and more people like to ink their drawings before working with them further. Inking means going over a pencil sketch with ink. This can make it easier to colour in with markers or watercolours afterwards. It can also be great for having a comic book effect or work on contrast and values in your work. This has been used for years but it is great now for combining with for example Copic markers. You can ink a drawing with many different techniques and tools. For pure line drawing that I am going to colour in afterwards (or have coloured in and am inking over the colour) I like two kinds of tools; Fine liners and dip pens. Both have their own advantages. 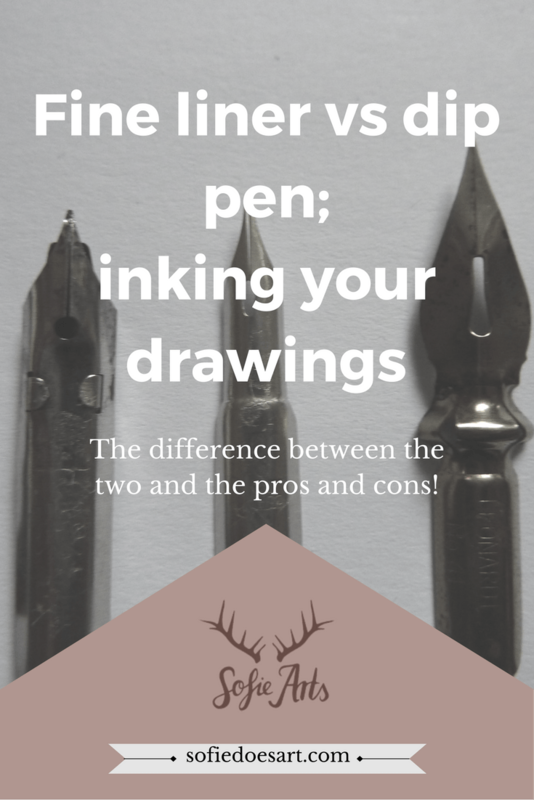 For anyone who is curious about inking and what tools to use. Fine liners are basically very thin felt tip markers. They come in many variations both water based and alcohol based. The best fine liners are smudge proof, waterproof and don’t dry out to quick. 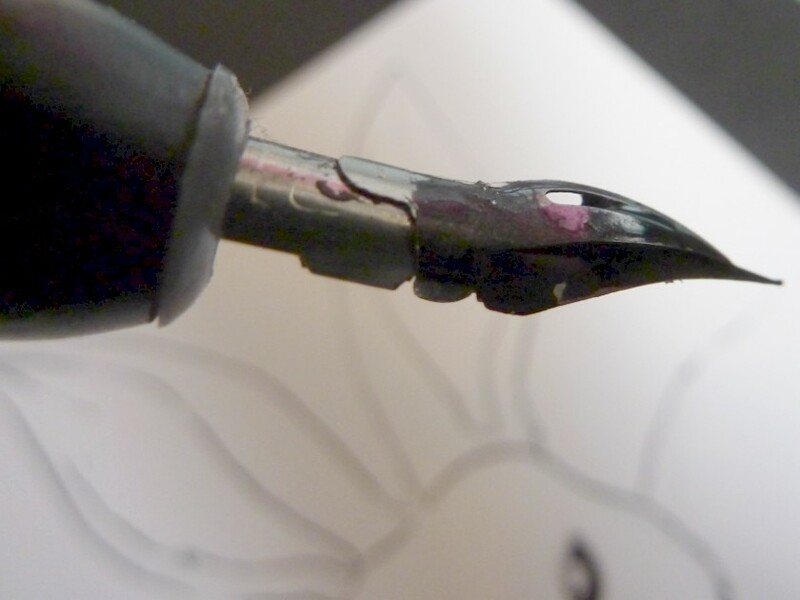 Another thing to look for is a good tip on the pen that are sturdy and which won’t; bend, break, fray or split. Some people swear by one brand of fine-liners but there are many great brands out there. Some of the best-known ones are the Copic multi-liners. Since I never used them I have no idea if these are superior but I heard they were quite good. Personally, I like to use the uni pin ones a lot. They don’t dry out too quickly and the 0,05 is amazing for details. They’re also a lot less expensive than the Copic multi-liners. Dips pens are a little bit more classic. The great thing about dip pens is that they are cheap and you can buy a different kind of tips. A good tip won’t rust, bent beyond repair or split if treated right. One of the cons is that you will have to buy the ink separately but this is often not very expensive and will last you a long time. Another great thing about dip pens is that there are a lot of different nibs available. This gives you the option to have one holder and different nibs giving your tool a lot of different options. You have broader nibs, nibs that hold more colour and more fine nibs. You also have the special types like ones made out of feathers or bamboo. These all come with their own effect and skill set to acquire. The biggest difference between the two is probably the effect the will give you. Fine liners are generally a lot easier for neat straight lines. 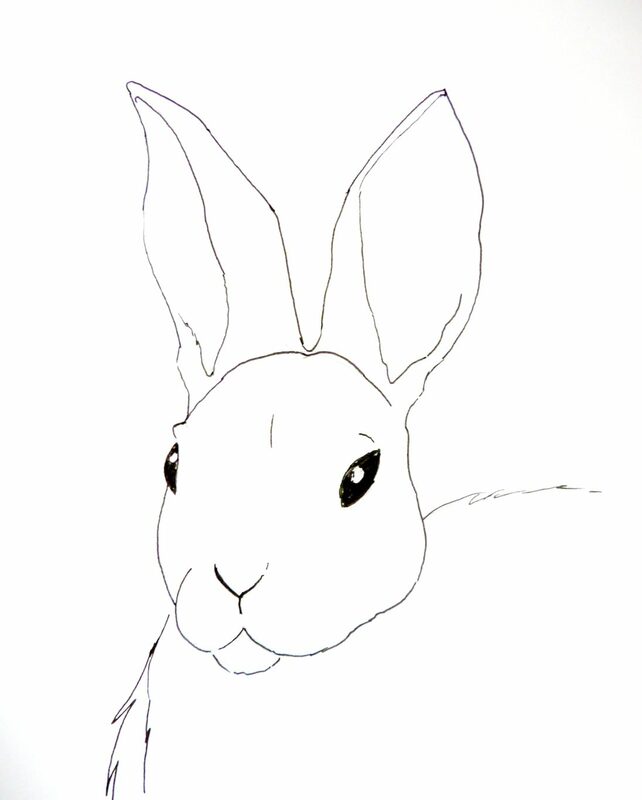 Like this bunny made with fine liners. My lines are quite neat and not very sketchy (you could still get those though). You can get these with dip pens but it will cost you some more effort. They are however great when your want to add some line weight to your lines because it happens almost automatically. So while it is harder to work neater it is easier to get a lively drawing and a more dynamic feel to it. Drawing made with dip-pens, however, need to dry before you can colour them. The ink flow is a lot heavier and uncontrolled. Fineliners only give a little ink of at a time and the ink almost instantly dries in the paper. Starting with the dipping. 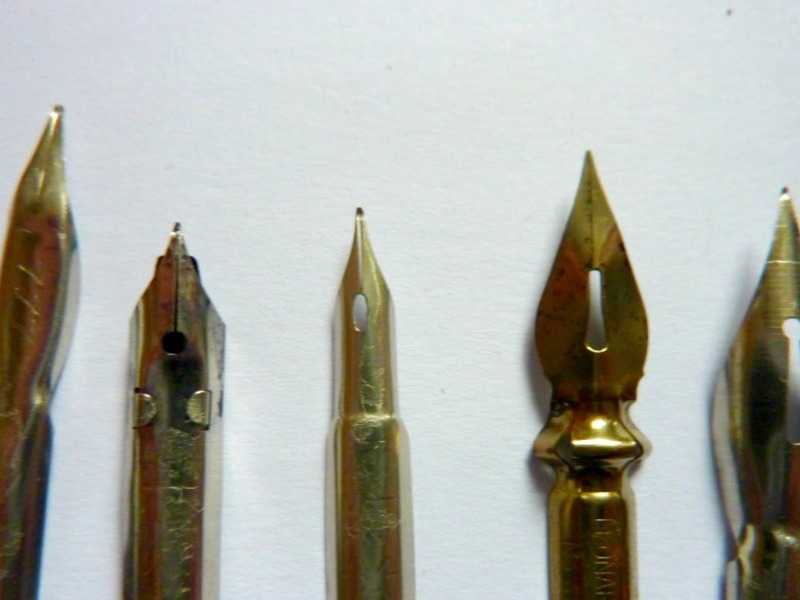 Your dip pen has a little hole in the tip. When you dip your pen you want that to stay clear otherwise you will have ink blots. Loading your pens to full will result in inkblots, working too fast will result in ink blotting, breathing might end in ink blots. The best thing to do is practise a lot and you will get a feel for how much ink you need and how far to dip. When using a dip pen, you can scratch the paper if you aren’t careful. Don’t wash your pens with water unless you dry them thoroughly or they will never be used again. Fineliners can dry out when you leave the cap off so don’t do that. So overall you might even say that fine-liners and dip pens are different mediums altogether. Trying both out is a great way to get to know which you really like better. Personally, I just like both for different kind of effects. There is one more thing I need to share. Maybe some of you already know about this one but what if you want the quick drying effect of the fine-liners, the line-weight of the pen and ink and the effect of using a brush? Then you want a brush pen. Brush pens come in all kind of sizes and kind. 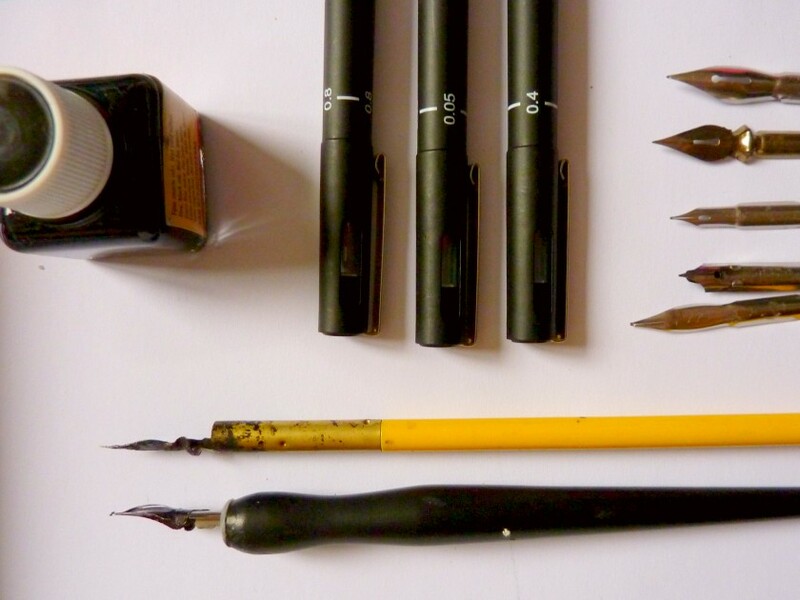 A very known one is the pentel brush pen. It has great ink and the brush is quite flexible. Since I don’t live in America/the UK, however, I pay a lot for such a brush pen. That is why I prefer using the Fabercastell Pitt artist pen in Big. This one is basically more a felt tip, but the amount of control you have is amazing. The things you want to look for when buying a brush pen are the kind of tip you want; hairy, more bendable or more like a felt tip. The second thing to watch for is the kind of ink it contains. Most artist pens will have waterproof non-smudge ink. But doing a little research never hurts anyone. So overall this are all your options and I hope you find something you like. Let me know what your favourite is out of all of these or if you don’t use any of them?